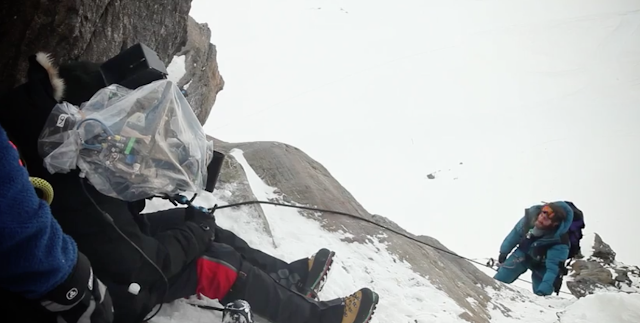 The first, epic trailer for Everest arrived last week, and for those whose jaw automatically dropped at the pure scale of the production, a new behind the scenes feature has come our way that sheds light on what the cast and crew went through filming on location and battling against the elements. Synopsis: Inspired by the incredible events surrounding an attempt to reach the summit of the world’s highest mountain, Everest documents the awe-inspiring journey of two different expeditions challenged beyond their limits by one of the fiercest snowstorms ever encountered by mankind. Their mettle tested by the harshest elements found on the planet, the climbers will face nearly impossible obstacles as a lifelong obsession becomes a breathtaking struggle for survival. The epic adventure stars Jason Clarke, Josh Brolin, John Hawkes, Robin Wright, Michael Kelly, Sam Worthington, Keira Knightley, Emily Watson and Jake Gyllenhaal.